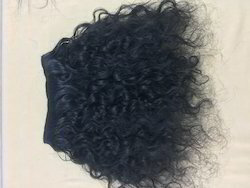 Specifications Size from 8" to 25-32"
We have been counted amongst the most trusted names in this domain, engaged in providing Curly Hair Extension. 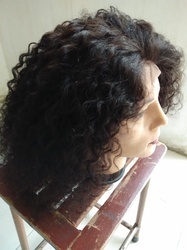 We are a trusted name engaged in offering Curly Hair Wigs. In compliance with the requirements of our clients, we offer this hair in varied sizes and lengths. Moreover, we make sure that the hair in provided in attractive and hygienic packaging to keep the product away from dust and moisture.